Naturally when you become a parent there's a whole lot of new "stuff" you find yourself needing to do. 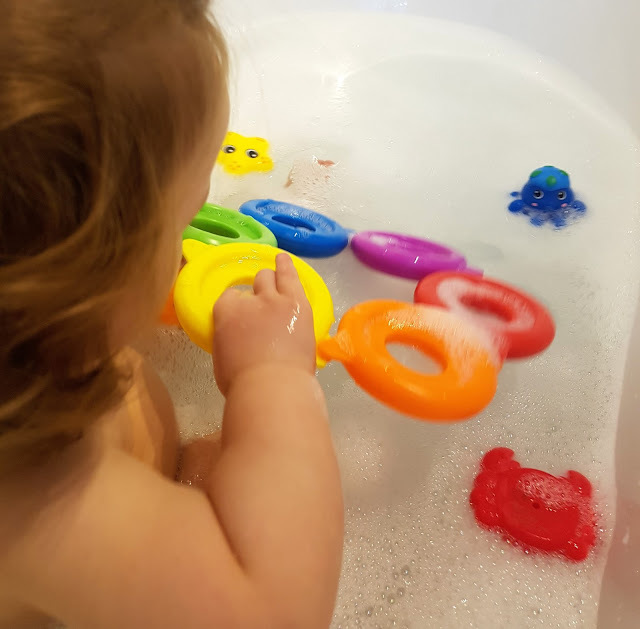 Something we learnt pritty quickly when Charlie was a newborn was that having a routine - especially one around bedtime - was an absolute must, and so, when Willow came along it was only natural that we fell into a similar kind of pattern. From her being just a few weeks old it was a case of any feeds given after a certain time - around 8pm if I remember rightly - were always given upstairs in the bedroom and it really helped Willow get used to the idea that it was night time and night time meant bedtime. 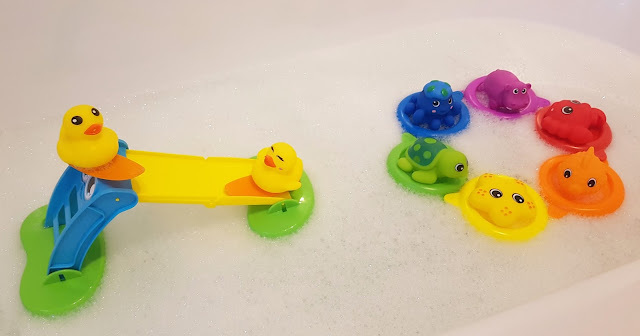 Another huge part of this daily routine was the fact that we always incorporate a bath into bedtime - no matter how brief a bath it was, right from those early first weeks a bath happened around the same time every evening. And this was then followed by a bottle, lots of cuddles and then bed. It is something we've continued to do right up until this very day too and I believe it is a routine which has really helped Willow settle well at night. 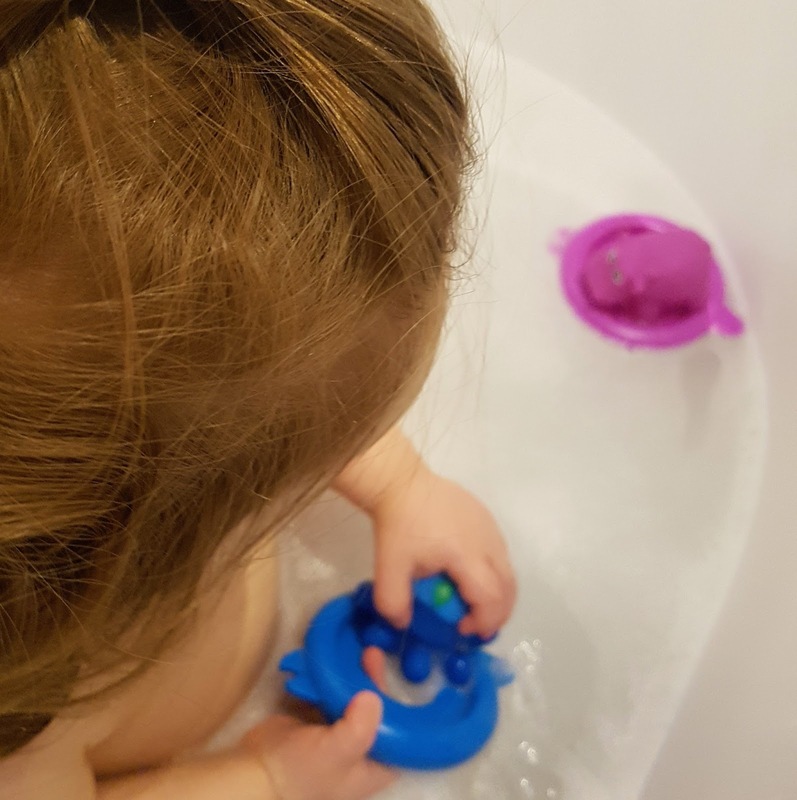 Something that has changed though is what bath-time actually means - yes OK it's ultimately about getting clean but it is not just about this anymore, bath-time is now another way of getting Willow's every busy brain developing and has branched out into being an extension of her playtime. 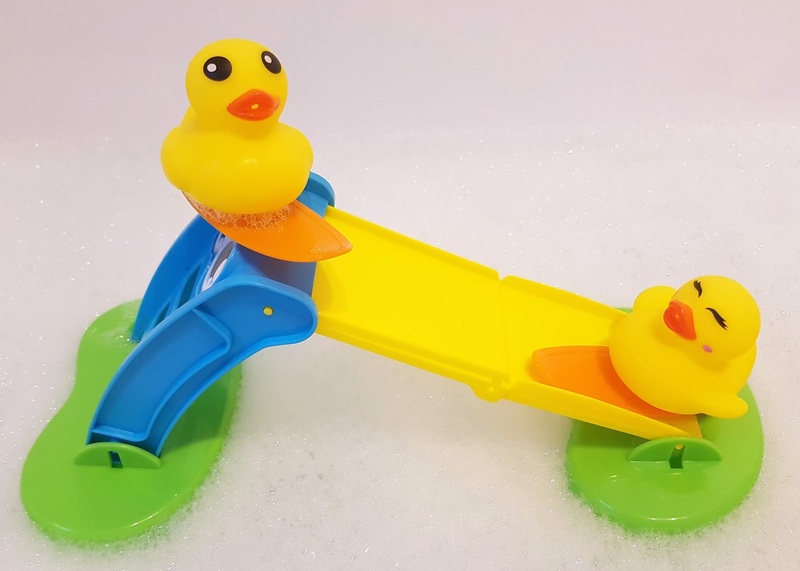 Willow loves water - she loves going swimming, she loves splashing in the water tray at playgroup and so naturally, bath-time is one of her favourite times of the day. 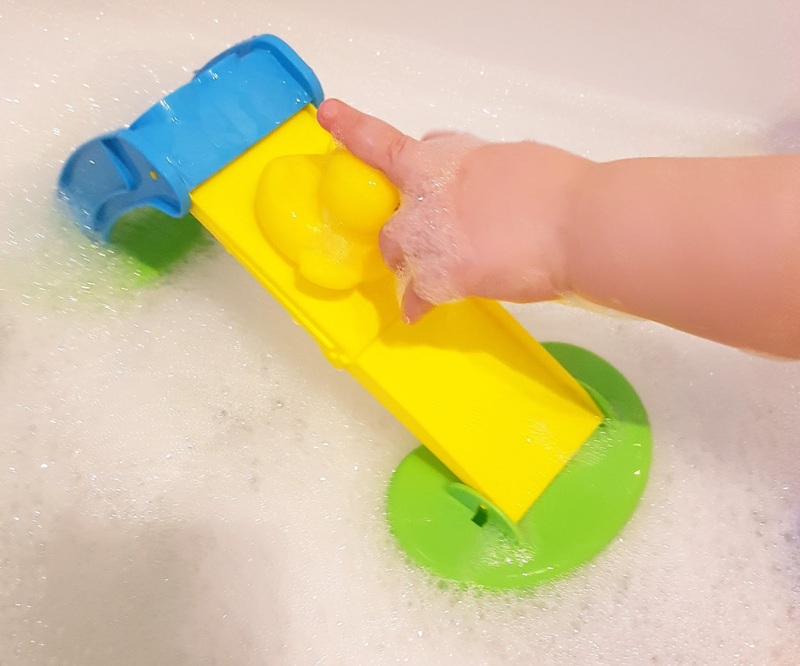 She also loved discovering the fact that they fill up with water and if she bites down on them the water squirts out at Mummy. 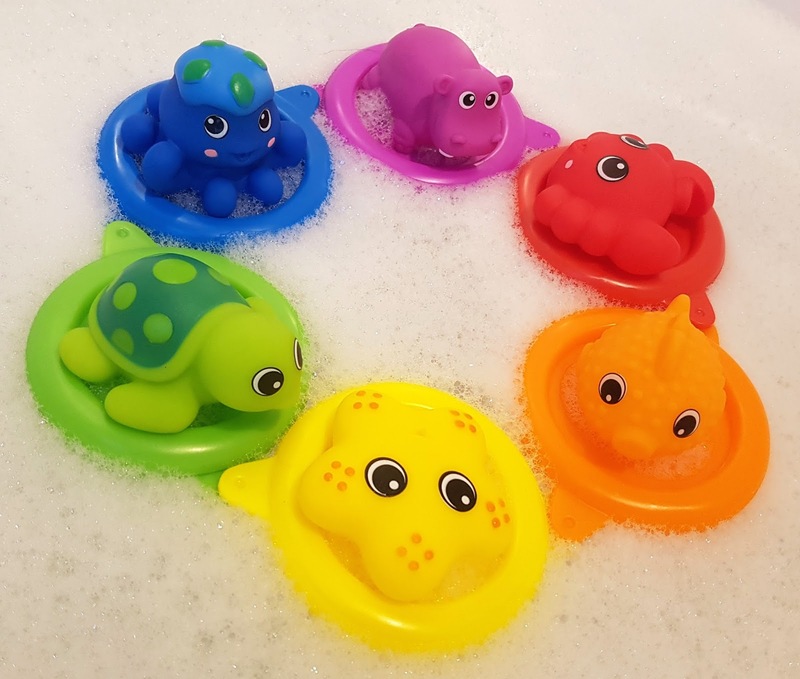 I love the fact that whilst these are still very fun and engaging with all of their colourfulness and their very cute little water animal faces (that and the fact that they also fire water over the bathroom at a squealing Mummy) they also have a bit of an educational element to them too. Nothing beats a little bit of "hidden by fun" learning in my book. I really do love these toys - they are all really compact and easy to store away too which is brilliant for keeping the bathroom tidy once all of the bath-time fun is over which obviously keeps me happy. 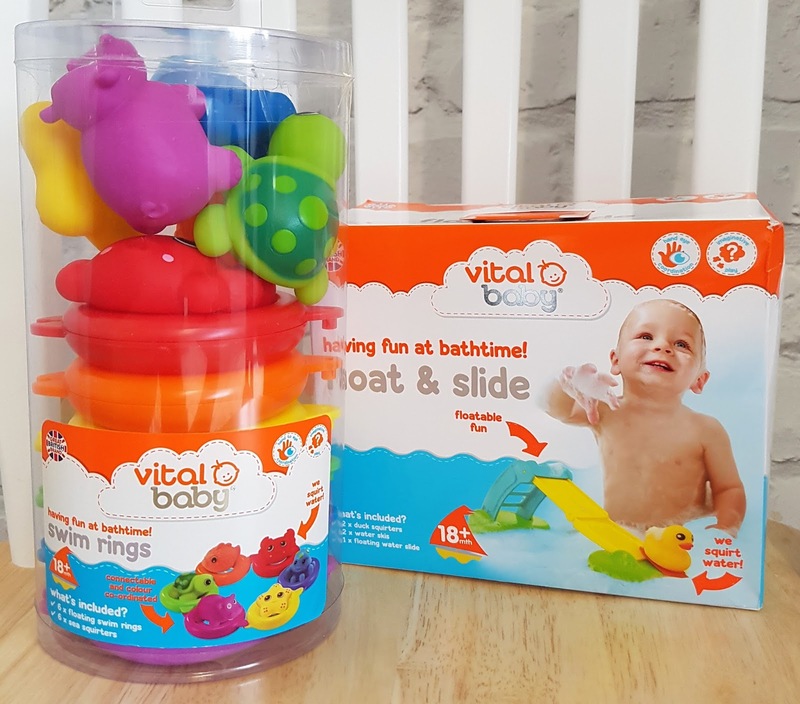 These Vital Baby goodies have been a huge hit in our house and Willow thinks they are fabulous - she's played with them every night since they arrived which says it all really doesn't it.